Oo! Lava! This’ll end well! It’s May and while I’ve got a lot of nice things happening this month (my 10 year anniversary and my birthday), it’s also mother’s day and my mom’s birthday month so I might be a little quiet while I process. Updates will continue as normal; I just might not be around on social media quite as much. Anyway, I was experimenting with color a bit in this page. 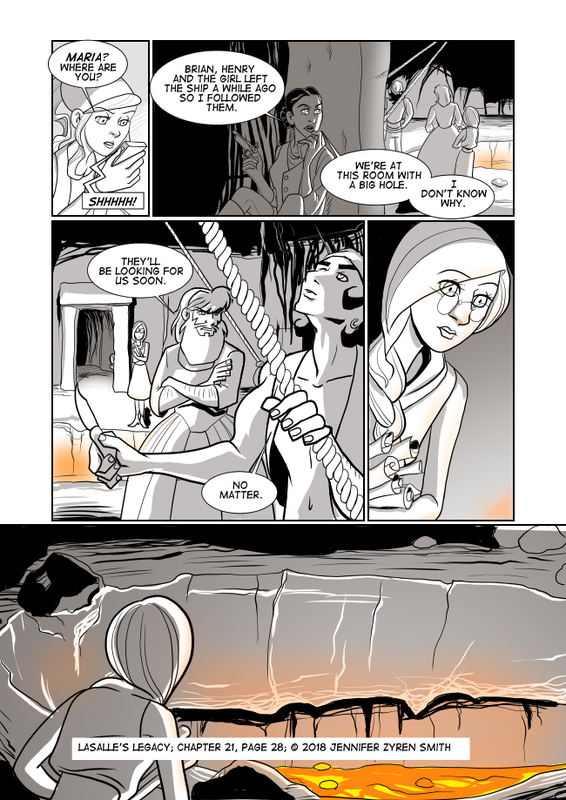 I liked how it turned out so there will be a spot of color for the lava for the rest of the comic. We’ll still be in black and white, just with yellow/orange accents. Happy 10th wedding anniversary Mrs. Smith, as well as a Happy Mother’s Day this coming Sunday. May the Good Lord bless you with long life and prosperity in the years to come. Well it’s got a lovely view.